I'm looking for the best shoulder mount pose to highlight this drop tine. As you can see from the pictures, it drops down and back. Post pictures if available. Thanks. 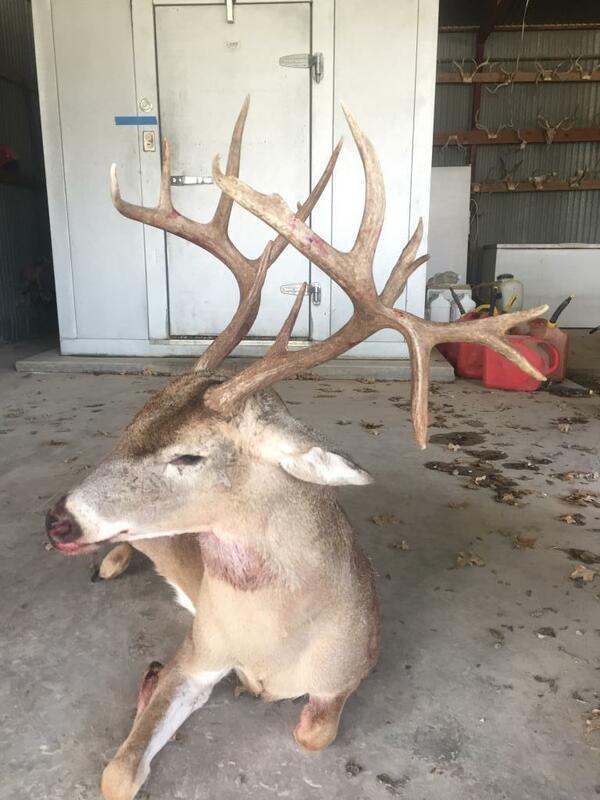 I can't help with advice, but that's a cool looking buck! Congrats! Maybe his head turned to the right and pointed down a bit....? 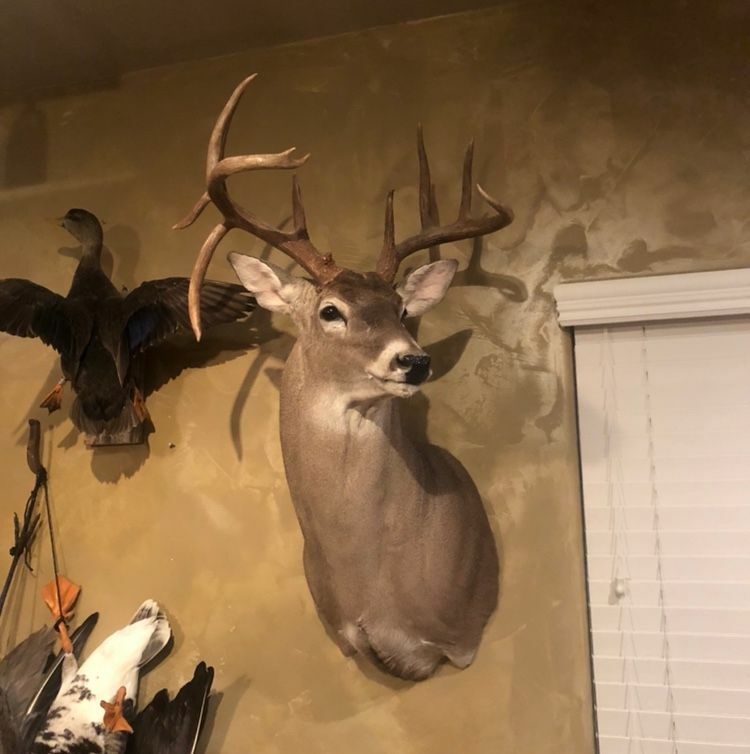 My buddy had a deer mounted a few years ago, the place he took it to suggested it be looking down just a bit to give you a better view of the rack. Not looking at the ground but tilted just a few degrees. Last edited by Herbie Hancock; 01/24/19 09:34 PM. Turned to his right like in your picture would be my suggestion. Beautiful deer. What they said. Awesome buck. My vote would be the McKenzie 8900 right turn. 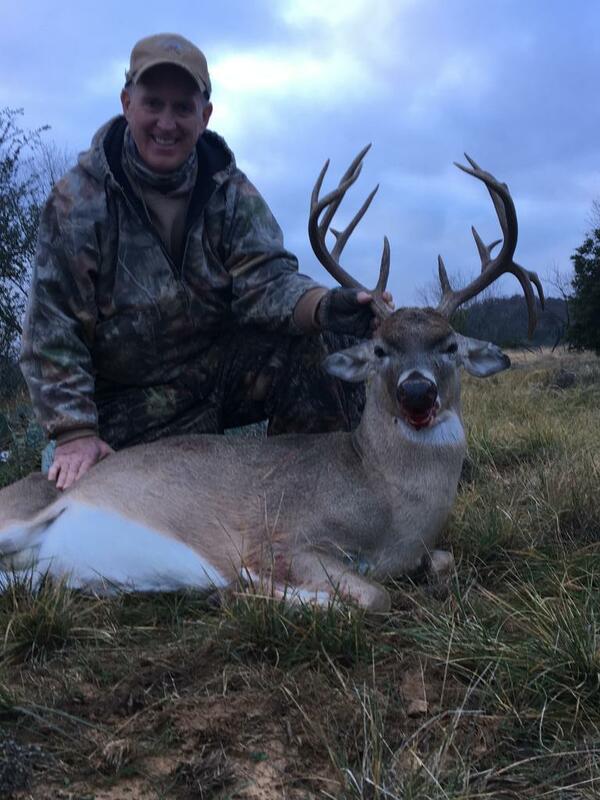 Congrats on a cool buck. I think drop tine bucks look cool with a sneak mount. If done properly it will really show off the drop. A true friend reaches for your hand but touches your heart. You’re Would look good on a Mckenzie 64d. Semi aggressive form. Mine are both on Mckenzie uptight forms. One regular and one wall pedestal. I would have the mount done to look just like the way the deer is in the top photo. 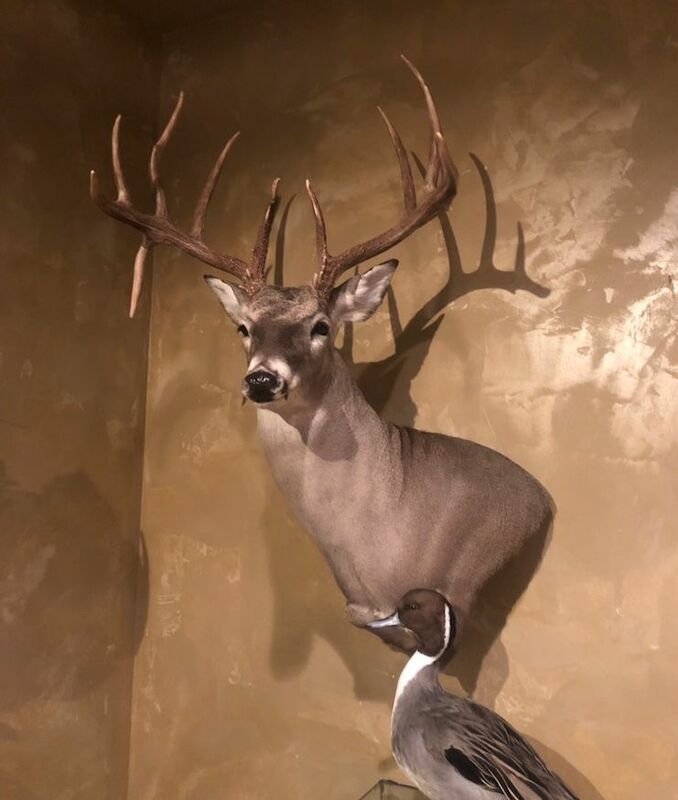 Another option might be to ask your taxidermist to put the horns on some different forms that he has in the shop and see what you like and works best for you. 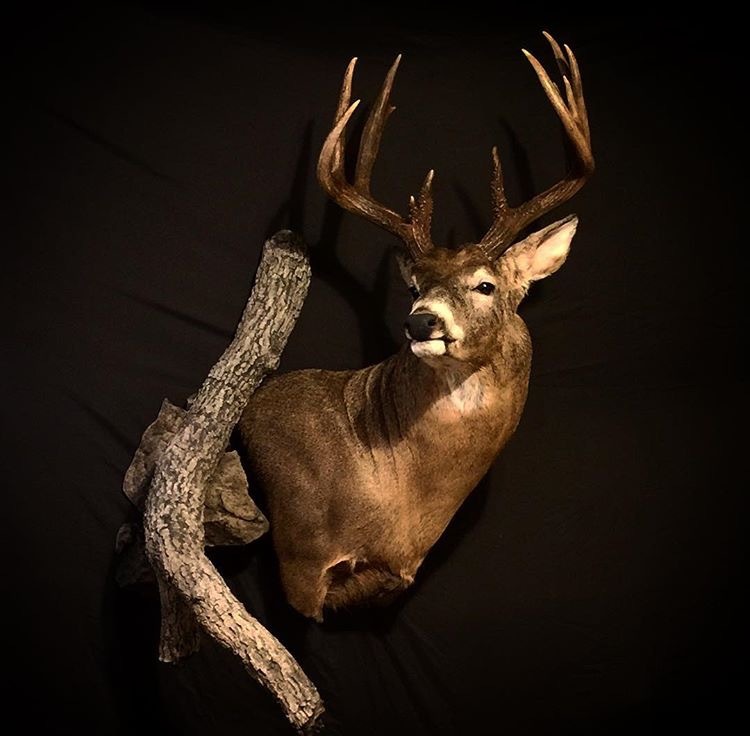 I think a wall pedestal would look great for that buck. There are a couple of new forms out I really like. Mckenzie 8800 and 8700. These 2 will depend on the size of your cape though as they are 18+ on the neck. This is the form I have chosen without the tree. Thanks for all the input.